Final day of Rio Olympics 2016! Let's watch the Olympic closing ceremony live stream online with best free sports live streaming apps. 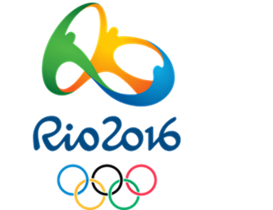 A considerable number of broadcasters all over the world are airing 2016 Rio Olympic Games events live. The broadcasting is always on from the opening ceremony to the closing ceremony with shows performed by Kygo between August 5 and August 21, which now is completed in Brazil and will be held in 2020 in Tokyo. In spite of that, you might also need best free 2016 Rio Olympics sports streaming apps, due to such-and-such a problem, for example, accessibility to streams in different areas. But before we go further into Olympics live streaming sports apps for iPhone, iPad, Android or TV, let's just see how many ways are available for you to watch Rio Summer Olympic Games live in 2016. You still have a chance to fly to Brazil to enjoy the competitions instead of watching Olympic Games live streaming before boxes. If you happen to have time and air fare is out of question, then forget about Olympics sports streaming apps and go get a live sport show this summer in Brazil, which although is in winter now. To watch Rio Olympics live, don't forget to fully charge your phone or camcorder to snap or record those best shots. And later you can upload a highlights video of 2016 Rio Olympics to YouTube, Facebook, etc via Wi-Fi for sharing after some simple editions. Tips: Uploading video to YouTube or Facebook sometimes needs video conversion to get over video format compatibility issues, which will never be as easy as pie unless you are ready with a professional yet easy-to-use video converter software. You may try WinX Video Converter, which is free and clean but really works. It also has a Deluxe version, costing you 49.95$ normally but having discount price from time to time. As far as we know, you can only watch the 2016 Rio Olympic Games in 4K Ultra HD in NBCOlympics.com. 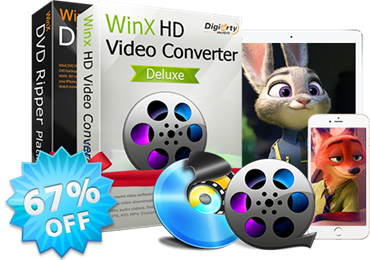 If you have downloaded 4K sports/movie videos to deal with, then WinX HD Video Converter Deluxe is recommended. Considering that the seats are limited and probably you much prefer to watch the Rio Olympics live streaming at home, on the couch, with drinks, we find several ways for you, of course including 2016 Olympics streaming apps. 1. Olympic YouTube Channel: This is the official YouTube channel of Olympic Games, with over 1 million subscribers, which will live stream Rio Olympics 2016. Highlights videos, interviews and other best moments will be uploaded daily. 3. NBC sports: NBC is the only authorized broadcaster in the USA. And you will be able to watch Rio Olympics 2016 every event live streaming through its website. Moreover, there is a particular NBC Olympics Live Extra app for both Ios and Android devices. You can download and install this Rio Olympics live streaming app for iPhone, iPad, iPod touch from iTunes or for Samsung, HTC, Windows Phone, etc from Google Play. Note: To watch Rio Olympics live streaming online with NBC apps requires login with cable provider credential. 4. LiveTV: LiveTV is a website offering free live sport streams, which requires login. At its home page, you will see sport match of the day and a bunch of other top broadcasts and popular sports videos. Guess it would never miss the biggest sport event this summer. So watching 2016 Rio Olympics live streams is quite possible. • Download 2016 Rio Summer Olympics highlights videos, theme song, opening/close ceremony videos, as well as movies, TV shows, documentaries, news etc, from YouTube, Vimeo, Dailymotion, SoundCloud, Deezer and other 300+ sites in a flash. • Deliver No.1 fast speed to convert and compress online/local videos to MP4, AVI, WMV, MOV, FLV, 3GP; MP3, FLAC, M4R, AAC, AC3; iPhone, iPad, Android, Windows Phone/Tablet with vivid images and hi-fi audios. * We will continue to keep you posted as the data rolls in.